Schweppes have just announced a £6.6M marketing campaign designed to get more punters buying their mixer range in the off-trade. Of more interest to bar folk is the news that not only has the packaging for the classic mixer range been redesigned, but a new, premium range developed ‘with guidance from mixologists and drinks experts’ has also been launched, with an eye firmly on the bar trade. The new ‘skittle’ bottle shape looks back to the original bottle perfected by Jacob Schweppe in 1783. The classic Schweppes range retains the gold sash the brand is known for, along with an embossed fountain design that represents ‘the bubble explosion’ contained within the bottle. The new 1783 premium mixer range is differentiated from the classic range by way of black livery and styling designed to look at home on the ‘top shelf’ of your chiller cabinet. The 1783 range consists of Crisp Tonic Water, Light Tonic Water, and Golden Ginger Ale. 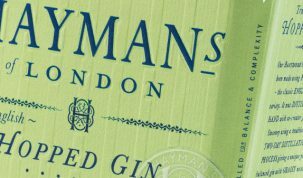 In addition to these traditional flavours, Schweppes have added Salty Lemon Tonic Water and Quenching Cucumber Tonic Water to the 1783 range. The 1783 premium mixer range will become available to the UK trade during October 2017. 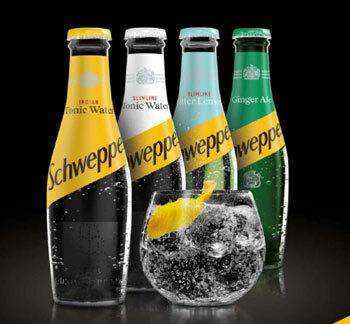 For more information, click here to connect with Schweppes.